So, you’re tired of seeing little (or big!) errors on your agency’s website, and you flinch at the random writing styles. You feel like your agency’s content is good, but there are still too many inconsistencies. What you need is an agency Writing Style Guide. 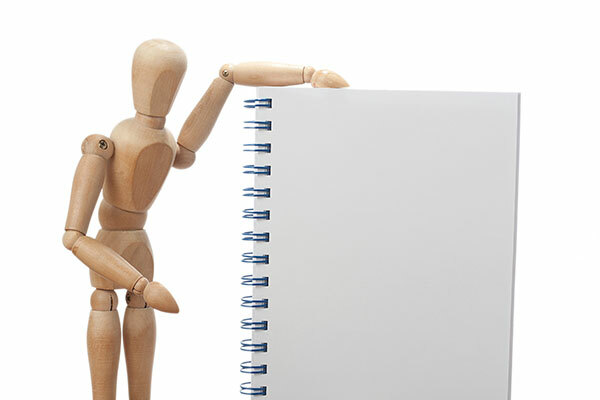 A good guide can set styles that improve your agency’s communication and credibility. How do you create a Writing Style Guide? What goes in it? My agency, the U.S. Energy Information Administration (EIA), created an award-winning Writing Style Guide in 2012 that was updated in 2015. I’ll give you some advice from our experience. Start with the basics—cover things you hope most writers learned in high school: grammar, punctuation, and usage. You might think everyone knows these basics, but my experience is that most people need a refresher and a source document for easy reference. Explain these basic writing rules simply and clearly, then include some examples. I like to show examples with both correct and incorrect sentences so writers can see the differences. The next step is a little trickier, but it’s very important. Every organization has a writing style that includes voice, tone, and writing decisions. Unlike grammar, which has specific rules that must not be broken (like capitalizing the first word in a sentence), many style issues are preferences. Your agency can decide about whether to use the serial comma, which ending punctuation to use for bulleted lists, and when to write out numbers. If you see “We had 2 cookies, 3 cakes and 4 pies” in one paragraph and then “We had two cookies, three cakes, and four pies” in the next paragraph (or in another story on your website), then your agency has a consistency problem. If you can’t tell the differences in these two sentences, call me. Next you add some content that is specific to your agency and your mission. EIA has a mandate to be policy neutral in our writing, so we needed a chapter covering what policy neutrality means and what words to avoid. We also are a statistical agency, so we needed a large chapter on using and writing about numbers. Consider what is unique and critical to your agency—and then include guidelines for authors that are consistent with your mission and policies. If you regularly review your agency’s content, you probably see the same mistakes over and over. What can’t they remember this rule? Why are they still using that word? And, are writers always asking questions about the same things? Keep track of these common mistakes and questions. Make sure they are addressed in your guide. If you’re like EIA, you will find the minute you publish your guide, you will get more questions to add to the list of possible updates for the next version. Questions and writing mistakes are a golden source of content for your guide. Provide additional content as quick references for authors. In our guide, these references include lists of words to avoid (utilize, myriad, in order to), confusing words (which and that), acronyms (how to write and reference them), hyphenated words (email, not email), and units and their abbreviations (b for barrel). Most authors in your organization won’t read your 100-page style guide. Really, they won’t. Help them out by creating a one-page tip sheet that includes many of the important mistakes and style rules. If you make it pretty enough, writers will pin it to their bulletin boards. Don’t start from scratch on your writing guide—copy from others! Much of the content and organization in your guide probably will be similar to many guides already out there. See what other guides cover, and see how they explain the issues, then tailor those ideas to your organization. Include examples of actual mistakes you have seen. Also, read the tomes of traditional wisdom: I skimmed page by page though the 800 pages of the Chicago Manual of Style to see what topics I might want to include in EIA’s guide. Or just copy EIA’s Guide if it works for your agency. You want a functional, helpful, and relevant writing guide. If you have the time and inclination, consider adding links to more information, putting quotes in the margins to highlight important points, and even developing an index if your guide (like ours) is so large it’s sometimes hard to find what you’re looking for. We printed our Writing Style Guide. We wanted authors to have it at their fingertips. With the paper copy, authors can make notes in the margins, tab special areas, and highlight sections they want to find quickly. Our guide is also online, both on our employee intranet and on the public website. We think most people use the paper version. Having an agency Writing Style Guide won’t eradicate all errors and inconsistencies. New authors join the group and haven’t studied the styles. Veteran authors might not want to change. Some people remain oblivious to the agency requirements. But, in time, your content will get better.